Littlepage Dining Hall is one of two dining halls located in West Campus, and was built facing Glimmerglass Lagoon, between Oneida and Onondaga Hall. It is connected to both residence halls by tunnels within the buildings. 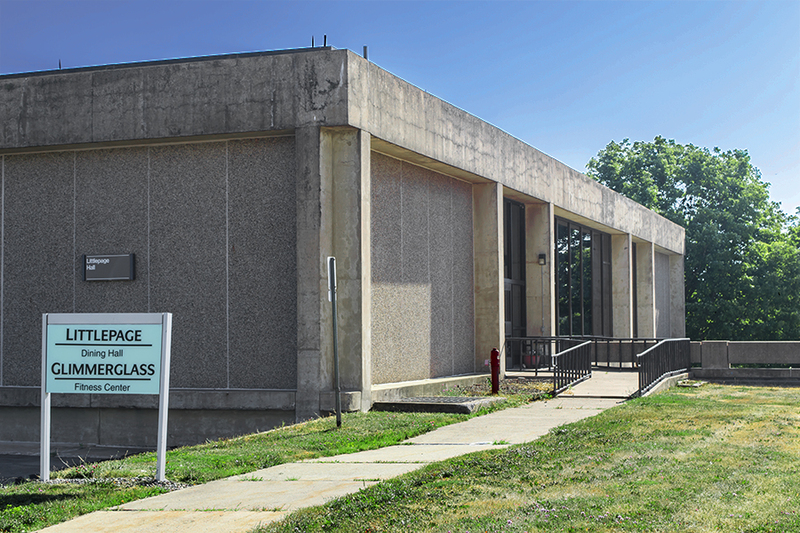 Housed in the same facility as the dining hall, but located directly below is the Glimerglass Fitness Center. Opened in 1968, Littlepage Dining Hall was named in reference to The Littlepage Manuscripts by James Fenimore Cooper, who spent time in Oswego while serving in the Navy. The Littlepage Manuscripts is the secondary title for Satanstoe, The Chainbearer and The Redskins, a trilogy of books about westward expansion in the United States and the displacement of Native Americans.